Skype name Dissertation Manager Online. Get help from anywhere: Online sessions enable students from anywhere in the United Kingdom and globally to have access to an experienced academic lecturer and dissertation examiner from a UK University (now retired). Do you need Dissertation Help, Dissertation Coaching, Dissertation Tuition and Dissertation Support for your Dissertation? Do you feel that you are receiving inadequate dissertation support from your university during the process of completing a dissertation? Do you feel overwhelmed by the dissertation process? Is stress associated with the dissertation process interfering with your ability to work on your dissertation? Do you have work or family commitments or other issues that make it difficult for you to find the time you need to work on your dissertation? Are you frustrated by your inability to keep motivated in relation to writing your dissertation? Do you not know how to start a dissertation? Have you already failed a dissertation submission and need help to resubmit? Are you having a particular problem with an individual section of your dissertation? Are you fully familiar with literature research and reviewing procedures? Do you fully understand what is required for the dissertation methodology? 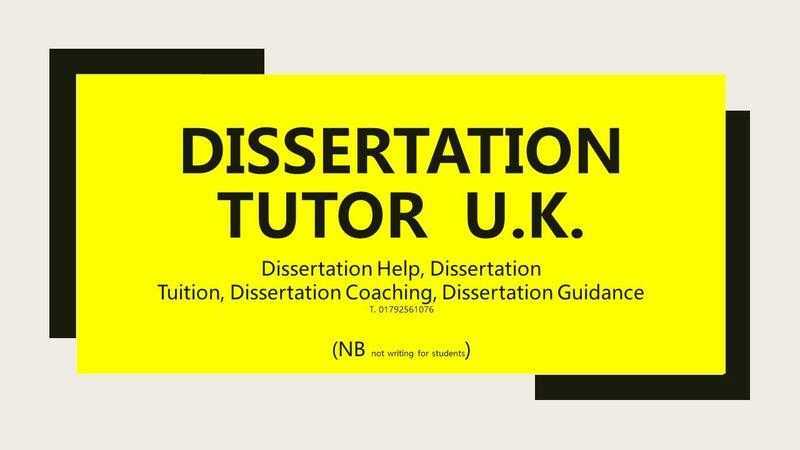 Would you like dissertation help from an experienced university dissertation tutor? To arrange a Skype discussion of what you require the times I am available are: Monday to Friday 10am - 5pm, weekends 10am -12 noon. My Skype name is Dissertation Manager Online. Skype is free to join and use. Please email me the day and time you would like an appointment booked. Initially I offer a free 15 minutes Skype chat about my services and dissertation assistance thereafter the price is £50 per hour.